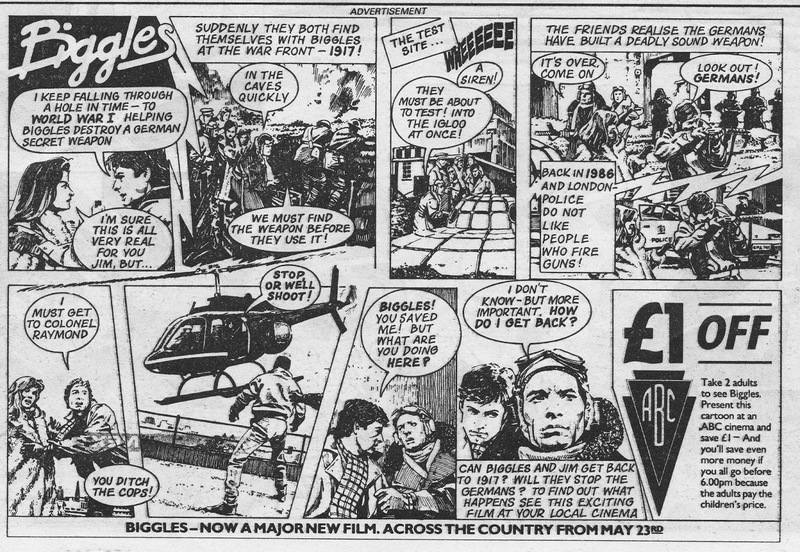 Here is the fifth - and final - frenetic part of the BIGGLES movie promo-strip from May 1986. This first appeared in EAGLE cover-dated 31 May 1986. The movie can be acquired pretty cheaply on DVD and I would recommend it. It's not great by any means but its a fun bit of disposable fluff.